Formation Roofing & Sheet Metal, Inc. The roof of your structure is the most important part of your residence or business’s protection from the elements. Here in Central Indiana, we know the weather can change in an instant. Formation Roofing ensures your entire roofing system is working together to provide year-round protection, regardless of the elements. Formation Roofing uses cutting edge materials and technologies to provide you with the best components the industry has to offer. From the underside of the eves to the top of the ridge, our materials and craftsmanship work to keep your structure dry, provide essential venting for breathability and carry off water through seamless gutter systems. Formation Roofing and Sheet Metal, Inc. was co-founded in 1979 by Chris Underwood. The small business was run out of Chris’ garage and the trunk of a 1974 Impala on the east side of Indianapolis. In 1993, Formation Roofing and Sheet Metal, Inc. grew and Underwood was able to purchase a space located at 2712 Stanley Ave., Indianapolis, Indiana. The new facility provided an office, a 10,000 square foot sheet metal shop and over two acres that made up “The Yard,” which was used for storing reclaimed slate, tile and equipment. As business continued and growth followed, another facility with over 38,000 square feet and four acres was purchased in 2007 at 1502 South Keystone Avenue. It took us eleven years of tireless rehab work to create this facility we now proudly call home. We were privileged to donate time and materials in the slate roof replacement and replacement on the Pentagon after the 911 attack. Formation offers all the roofing qualities that you need to protect your business, building and office structures. We have extensive knowledge in all phases of commercial, industrial, and institutional roofing types and materials, but we specialize in metal roof panel manufacturing. Our team will walk you through the type of roofing system that will work best for your home. A quality roof is the most important element in protecting your investment. The least expensive option may sound like the right option at first, but if it’s chosen for the wrong reasons, that decision can cost you thousands of dollars and years of regret. 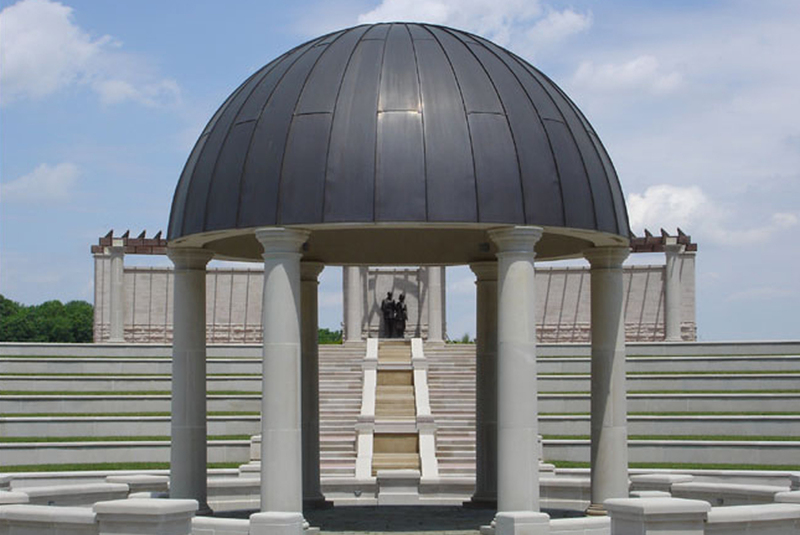 To ensure our standing as the leader in Indianapolis metal roof manufacturing, we maintain memberships in many of the top roofing organizations. This allows us to consistently provide you with the most up-to-date materials, cutting-edge technology and master-level craftsmanship at all times. We proudly call ourselves a small business and feel this gives us an advantage over larger companies, as we are better able maintain the highest levels of quality and safety for our valued employees and customers. Our specialty is in the manufacturing of copper, aluminum, steel, zinc and many other ferrous and non-ferrous metals. Our specialty is supplying and installing some of the highest graded slate, tile and cedar shake materials in the USA. We excel in decorative, custom-made copper gutters, downspouts, ornamental copper hoods, bays, focal points, etc. Our team makes these specialty items in our sheet metal fabrication shop, which we have designed for our commercial, industrial, institutional and residential (estate and luxury home) clients. Our corporate office and sheet metal fabrication shop are both conveniently located at 1502 S. Keystone Ave, Suite A, Indianapolis, IN 46203. Our focus service area is in Indiana and surrounding states, but we have the capacity to serve the U.S. from coast to coast. We take great pride in the work that we do. Each and every positive referral from our satisfied customers is a testament to our craftsmanship and dedication to quality. We are very fortunate to have built outstanding and lasting relationships with our clients, whose referrals make up 90% of our new business. We strive to be the very best for you! 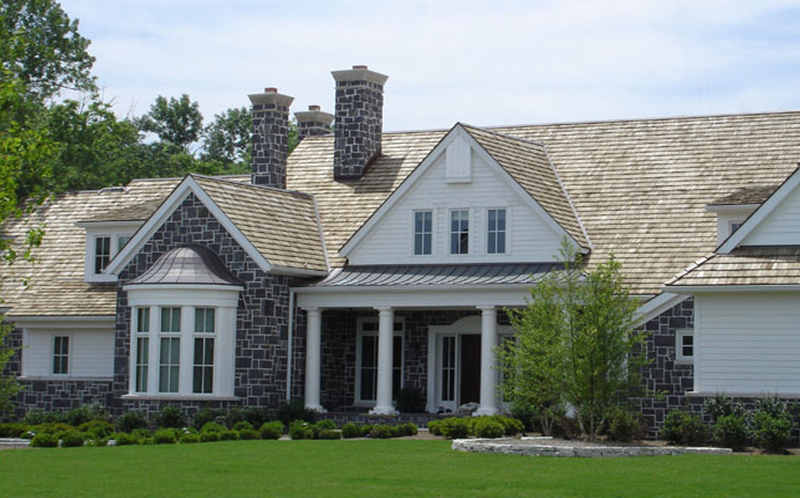 Roofing materials create texture and add dimension to your home. Roofing materials are the first barrier of protection for your business. Local independent company does great work. Office is one block south of Garfield Park.